Chicago White Sox second baseman Gordon Beckham hit over 20 doubles in each of his first five seasons. While not great power this is solid line drive hitting for a young middle-infielder. Beckham is the first second baseman, shortstop or third baseman to accomplish this since Dan Uggla. Before him only Robinson Cano had gone over 20 doubles in their first five years with careers entirely in the past decade. After averaging 36 HR’s and 39 doubles in two short seasons in the minor leagues the Seattle Mariners have inserted Mike Zunino into their starting lineup. Take a look at this long bomb he hit last night. 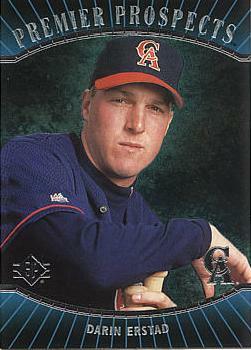 Zunino reminds me of former slugging catchers Mike Stanley and Mickey Tettleton. At 23 years old and with power like this I would think they are set at receiver for at least the next five years. Is Eric Hosmer’s Power Surge Legit? In case you missed Eric Hosmer‘s crazy Bigfly last night here it is. After beginning the 2013 season with just one HR in his first 223 at bats the former first round draft pick has been banging HR’s with a flurry in the last 2 months. In Hosmer’s last 243 AB’s (58 games) he has pounded 13 long balls. The Royals first baseman is slugging at a .550 clip during this time as well. I think this is what the Royals management had in mind when they picked Hosmer ahead of Buster Posey, Justin Smoak and Ike Davis in the 2008 MLB draft. At 23 years of age I do believe this power surge is a sign of things to come. 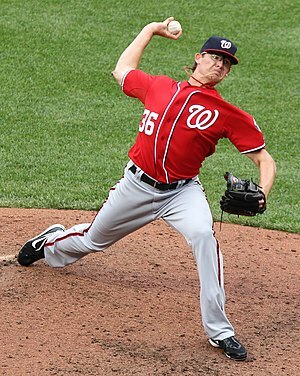 Overall, I really like Washington Nationals reliever Tyler Clippard. He has shown good stuff ever since he was forced to make six starts for the playoff bound 2007 Yankees as a 22-year old. The Joe Torre led Yanks won 5 of his 6 starts by the way. What caught my eye today about Clippard is his Hits Allowed/Balls in Play (aka BAbip). Over the last five years his K rate has been very steady between 10-11 SO/9 but his HA/BiP has jumped all over the place. Most HR’s in a single season with a Slugging Pct of .400 or below.